Lisa Keese, a resident of Burleson, TX has earned the reputation as a seasoned leader in the mortgage industry. Throughout the span of three decades, she has garnered extensive knowledge, training, and hands-on experience in the industry and she specializes in Residential Lending. Currently, Lisa serves as the Branch Manager & Sr. Loan Officer (NMLS #206895) for Service First Mortgage Burleson Branch. Since the very beginning of her career, she has been dedicated to providing a seamless, pleasant home loan experience through a personable, consultative, and transparent approach. Prior to that, she was the Branch Manager & Sr. Loan Officer for Mortgage Edge and First Preference Mortgage and has assisted hundreds of families with their mortgage financing. 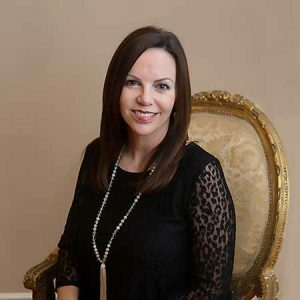 In addition to being NMLS licensed, Lisa holds membership at a number of esteemed organizations, including ATHENA Society of Burleson, Rotary International, and the Burleson Chamber of Commerce. Committed to making a positive impact in both her community and the world at large, Lisa Keese is a CASA volunteer and serves on the board at the Harvest House. She has been an active member of Pathway Church for over two decades, where she currently serves on a Guest Services Team as well as the Welcome Desk. She teaches a Money Matters class and has attended two mission trips to Ethiopia. During her free time, she enjoys travel, spending time with her husband and grandchildren, repurposing old items to give them new life and designing spaces.